How Do Women With Autism Experience Pregnancy? As more women are diagnosed with Autism Spectrum Disorder, researchers are taking a closer look at the relationship between pregnancy and autism. The disorder’s effect on pregnancy has not been widely studied, partly because four times as many boys and men are diagnosed with ASD than girls and women. The spectrum includes several conditions that used to be diagnosed separately: autistic disorder, pervasive developmental disorder not otherwise specified (PDD-NOS), and Asperger syndrome. Symptoms vary widely which can complicate getting a diagnosis. It’s possible to have ASD, be very intelligent and excel in some areas of your life, but still have problems with social interaction and communication. Not reading social cues well, a woman with ASD may find it difficult to make friends and will avoid social situations. She may also engage in a repetitive behavior that alienates others, but the symptoms are not necessarily always obvious. The range of symptoms for this developmental disorder can mean that a woman is not properly diagnosed until she is an adult, possibly until she is pregnant or has already had children. 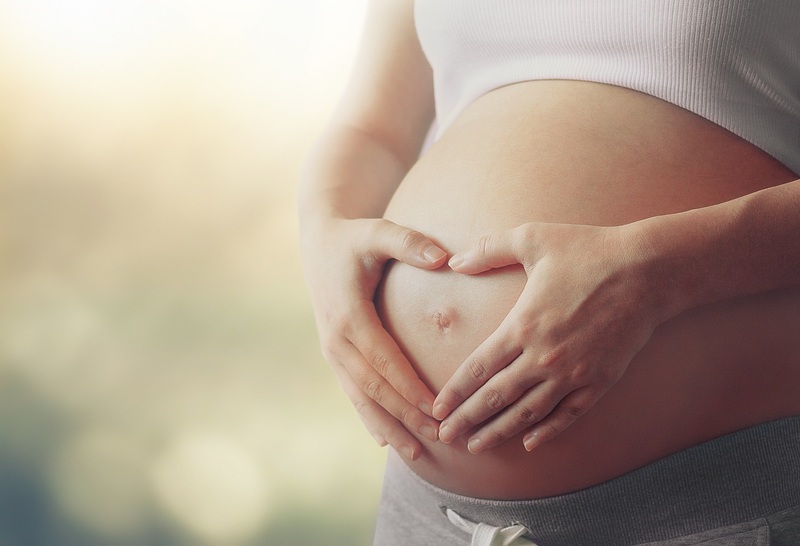 However, there is evidence that ASD symptoms can complicate pregnancy and that women affected by these symptoms benefit from extra support during pregnancy and early motherhood. Communication problems can complicate doctor-patient relations. Women with ASD may have a problem communicating with medical professionals, especially those who have limited experience dealing with ASD patients. During a prenatal visit, a woman with ASD might find it difficult to make eye contact with the doctor or to appear to listen to what’s being said. She might make facial expressions that do not correspond with what’s the doctor is saying or engage in repetitive behaviors. If a medical professional assumes a woman is not listening or interprets her behavior as dismissive or offensive, it can potentially lead to a doctor-patient rift. Conversely, if a woman with ASD feels she is being judged or misunderstood because of her diagnosis, it can also hurt doctor-patient communication. Problems with communication may already have led a woman with ASD to feel socially isolated. Without friends and connections, she won’t have to access the resources provided by a support system. Sensory stress is another potential problem. Because of a heightened sensitivity to what’s going on in her body, the hormonal changes that accompany pregnancy, and the ASD aversion to altering what is familiar and routine, a mother with ASD may feel unduly anxious or concerned while she’s pregnant. Poor self image can pose another problem. A woman who experienced social rejection in childhood due to undiagnosed ASD behavior may view herself negatively. As a parent she might find it difficult to communicate with teachers and others involved in her child’s life. She may not be able to stand up for her needs during pregnancy or her child’s needs after, if she has poor self image. On the other hand she is uniquely qualified to understand a child with ASD. A woman who has ASD does have a greater chance of having a child with ASD. Although the causes of autism are complex, a 2017 study found that autism spectrum disorder is likely due to genetic factors about 90 percent of the time. While many any brilliant, successful, well-adjusted people have ASD, an early diagnosis and intervention can help your child work on skills that need improving. Ask is your doctor or midwife has experience dealing with ASD patients. Studies suggest that pregnant women with ASD benefit from support from a clinician who is knowledgeable about their condition. Recognize that any anxiety you feel may be attributed to your disorder. Link up with a support resource for information and connections. There are Facebook groups and sites that provide support and answer questions. In the weeks following birth try to schedule some regular quiet time so you can recover from the sensory stimulation of a new baby. Autism is usually diagnosed by age two. If you think your child may be autistic, reach out. Early intervention is the most successful way to help a child work with and around with his differences.